Soak in your idyllic surrounds with a lazy afternoon spent on the verandah of one of the 30 Lagoon Pool Villas, that sleeps two. Perfectly set up for an intimate getaway, unwind with an evening swim in the warm waters of your private pool. Each of the Lagoon Pool Villas is air-conditioned with a king-size bed, en-suite bathroom, and chic, stylish furnishings. Set on the shore, the 17 Beach Pool Villas, sleep two and have a private pool, sala pavilion, timber sundeck and all essential luxuries, this villa type also boasts awe-inspiring sunsets. 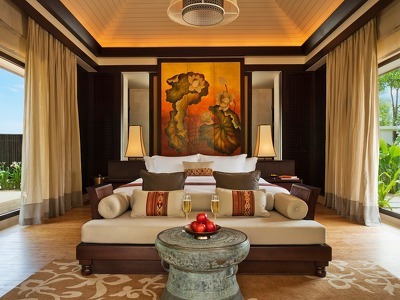 Each Beach Pool Villa is air-conditioned with a king-size bed, en-suite bathroom, and chic, stylish furnishings. The Hillside Pool Villas are perched on a lush hill at an altitude of 25 to 86 metres above sea level. With a private pool, this is the ideal holiday refuge for two. Each Seaview Hill Pool Villa is air-conditioned with a king-size bed, en-suite bathroom, and chic, stylish furnishings. Well-suited for couples & friends, the three spacious Two-Bedroom Hillside Pool Villas sleep up to four with a large shared living area, outdoor jet pool and private pool. Each is air-conditioned with two bedrooms featuring a king-size bed, en-suite bathrooms, and chic, stylish furnishings. 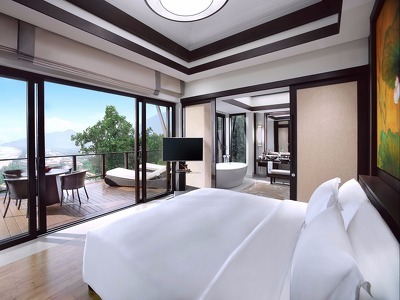 The six Three-Bedroom Hillside Pool Villas, sleep six and feature generous indoor and outdoor spaces, private pool, jet pool, three luxuriously appointed bedrooms, en-suite bathrooms, exquisite décor of local objets d’art and an inimitable sense of sanctuary for the family. Book more than 14 days before the arrival date and get up to 20% off. Away from the bustling cities of Vietnam, Banyan Tree Lang Co on Vietnam's gorgeous central coast gives you the chance to step back in time and enjoy regal pampering. Spread throughout lush, tropical gardens, the 60 spacious villas offer privacy, luxury and relaxation. Everything you could possibly want in a Vietnamese retreat can be found here - golden sands, gentle waves, crystal clear pools, a sensational award-winning spa and a range of activities and dining options to satisfy any whim. Our pick for your stay are the hillside villas - the views across the bay, especially in the evenings, are simply breathtaking. Start your holiday as you meant to go on by relaxing and unwinding in the award-winning Banyan Tree spa, that offers a wide range of treatments and a number of couple's rooms to ensure privacy and utmost serenity. Once you're revitalised, head to the sea on a boat trip around the bay in a traditional vessel, or a bike tour around the area to soak up the stunning scenery. You might like to try a Yoga class or learn to make traditional dishes in the cooking school. Culture vultures might like to join a tour to the World Heritage sites of Hue, Hoi An or My Son. Fitness fanatics can rest easy as there is a fully-equipped gym with state-of-the-art equipment and water babies can snorkel in the bay, parasail or jump the gentle waves. Foodies will be delighted - dining at Banyan Tree Lang Co really is a treat, with three restaurants, a bar and private in-villa dining options available. Azura is Banyan Tree Lang Co's seaside Italian restaurant, serving pizza, pasta and everything in-between. The Water Court is the Vietnamese restaurant, offering the best of local cuisine, such as noodle dishes and soups. Thu Quan is the bar, a great place to unwind over a cocktail with friends or family. If a cancellation is made within 7 days of the arrival date, 100% of the total amount will be charged. If a cancellation is made within 14 days of the arrival date, 50% of the total amount will be charged. 15% of the total amount will be taken at the time of booking. Excellent, warm, and accommodating staff. Our villa butler was Wendy, and she was incredible and optimized our experience with a personal touch. Our villa was beautiful and a short walk from the beach, where we watched the sunrise in the morning (our jetlag had us awake fairly early). Get the included breakfast; it's the best food the resort has to offer and a great start to the day. Also lots of activities, ranging from casual to adventurous. Anxious to return. World-class. Amazing ladies trip. Stunning resort. Incredible service. Unending wonders. Amazing service, staff, dining, property, and experience. Our stay at Banyan Tree Villas was like heaven on earth. 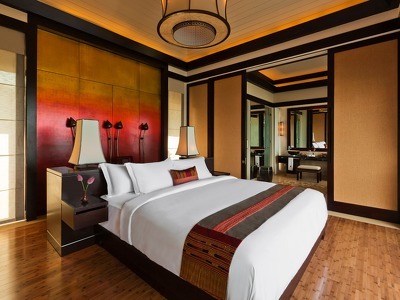 Banyan Tree has earned their five stars. The staff, especially our suite attendant, Tuyen, was friendly, attentive and at our beck and call throughout our stay. The property was magnificent. The dining experience was superb. Every staff member made our experience enjoyable. Thank you for our dream getaway. This is 511 villa now I'm here for my honeymoon. Deeply truly madly attractive resort I've ever been so far. 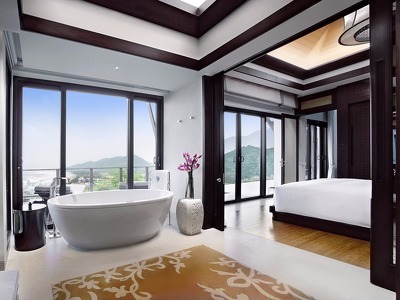 Banyan tree brand always seeking perfectness, This Lang co resort is the top class of the world. Huge spacious room, clean and tidy villa everywhere, Well trained staffs for guests , reasonable prices for all. Absolutely worth for visit and spend money and time. You guys made this resort as a masterpiece. And you guys are making my day perfect. Never be better. Thank you Banyan tree Lang co. And thank you Ms.MI for your hospitality. I definitely come back here soon.